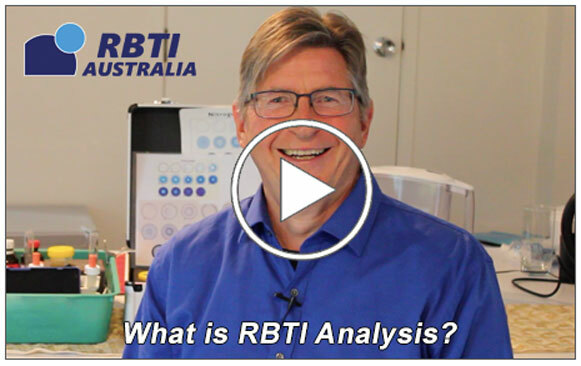 What RBTI Analysis Looks For? Why Test Using RBTI Analysis? Reams Biological Theory of Ionization, or RBTI, was first formulated by the Agricultural Scientist Carey Reams in 1931. It is a unique analysis of samples of urine and saliva to help trained consultants like you understand the biochemistry of the human body. RBTI Analysis can help you understand what is happening at the biochemic level of your clients’ body. When the body is out of balance in any way (physically, mentally, emotionally or spiritually) it will show in the testing results. RBTI Analysis enables trained Natural Health Practitioners to look at the formula derived from a clients’ samples of urine and saliva and target specific areas where improvements can be made to help restore balance. Symptoms are helpful, just not important. The nature of symptoms isn’t important. More important is how far away from balanced the biochemistry is. For instance when a client’s pH is out of balance just like the soil in the garden the body will have difficulty in absorbing all of the minerals and nutrients needed to maintain health. The body will suffer somewhere until the minerals that it needs are supplied. This system, enables a trained consultant to see at a glance where the body is out of balance and how to design a program to help their client’s achieve better health. A similar system is used in naturally based agricultural practices to enhance crop yields with healthier fruit, vegetables and livestock. RBTI Analysis allows you as a trained practitioner to target the area of greatest need. The residues and components of urine are still used today in medical science to test for imbalances in the body. We just take it a lot further working on the concepts proposed by Carey Reams and the other pioneers of Naturopathy and many other forms of Complementary Medicine. Practitioners using RBTI Analysis know any variations from perfect balance indicate how well or how poorly their clients have been digesting, assimilating and processing their food and therefore the energy they have available from that food. “We don’t live on the food that we eat, we live on the energy created by the food that we eat”…..